Who doesn’t love a good smoothie? Honesty, I start most of my days with a quick smoothie for breakfast, so when Puritan’s Pride asked me to team up with them for a seasonal superfood smoothie challenge, it was a no brainer! Over the next 3 months, I’ll be sharing my superfood-packed smoothie recipes and would love to hear about your best smoothie recipes, too. Let’s start with a little info on Puritan’s Pride. Blend all the ingredients; serve with a sprinkle of cinnamon on top! 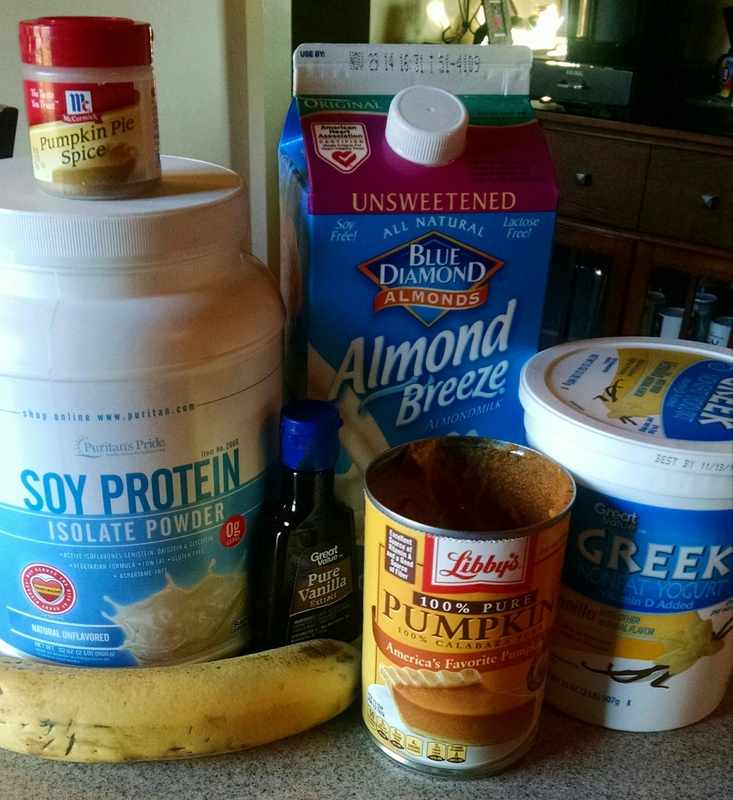 *I used unsweetened almond milk and added a scoop of Puritan’s Pride Soy Protein Isolate Powder Natural, and 1/4 cup of vanilla Greek yogurt! So delish! Pumpkin is an awesome superfood high in vitamin A, which supports healthy vision and helps support immunity. Also a good source of potassium, pumpkins can help your heart and muscles. And since it is pumpkin carving season, here’s an interesting pumpkin fact- pumpkin seeds are a good source of zinc, a nutrient important for immunity! This smoothie was super yummy and so filling! I was provided the following items this month from Puritan’s Pride and guess what? They’re giving you all an opportunity to win them, too! 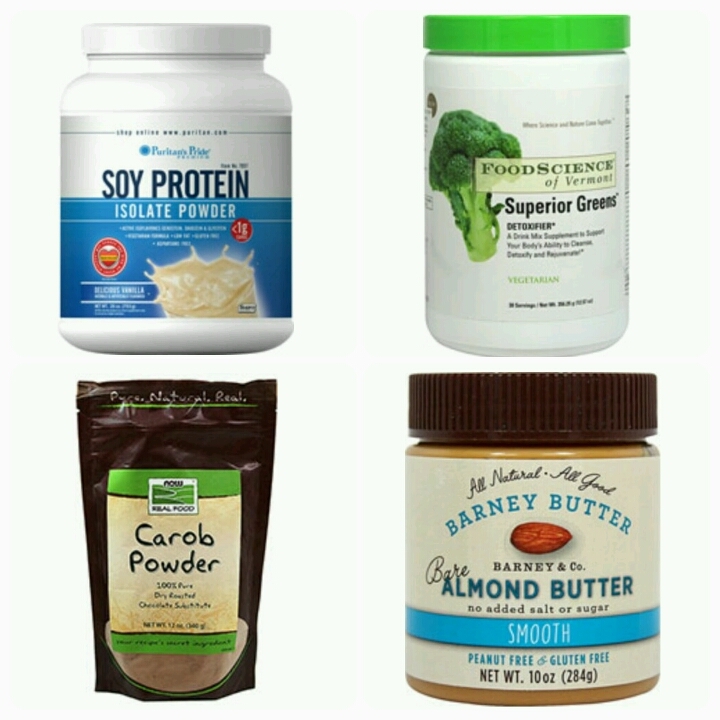 Pure Soy Protein Isolate Powder supplies important nutrients which the body requires daily for optimum health. It provides essential amino acids in a versatile powder which is low in fat and free of carbohydrates. NOW Real Food® Carob Powder is a flavorful and versatile substitute for chocolate. Use in place of cocoa powder in your favorite recipes for delicious natural chocolate flavor without the fat, caffeine or theobromine found in chocolate. Barney Butter is peanut free and made in an almond only facility! It contains no added salt or sugar with a traditional smooth and creamy texture. Enter to win by clicking the link below! I love anything pumpkin but I made some gingersnap pumpkin cookies not too long ago that were absolutely amazing! I love pumpkin in my oatmeal! I love pumpkin in my oatmeal! Trying it in a smoothie tomorrow!